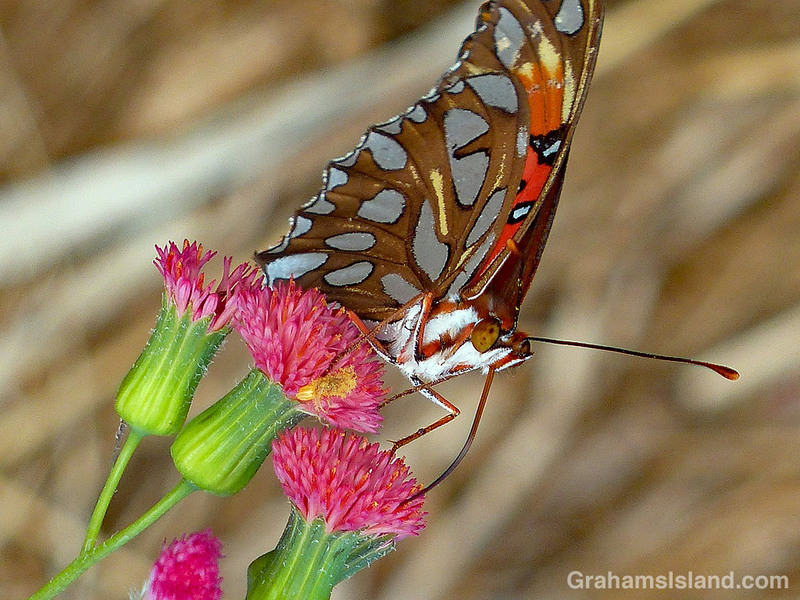 A passion vine butterfly drinks sweet nectar from a tasselflower. I think it’s a Florida tasselflower (Emilia fosbergii), which is also known as Flora’s paintbrush. Thanks. I’m a bit obsessed by butterflies currently. They’re fun to watch.